Give your look a sheer finish with this crop top. 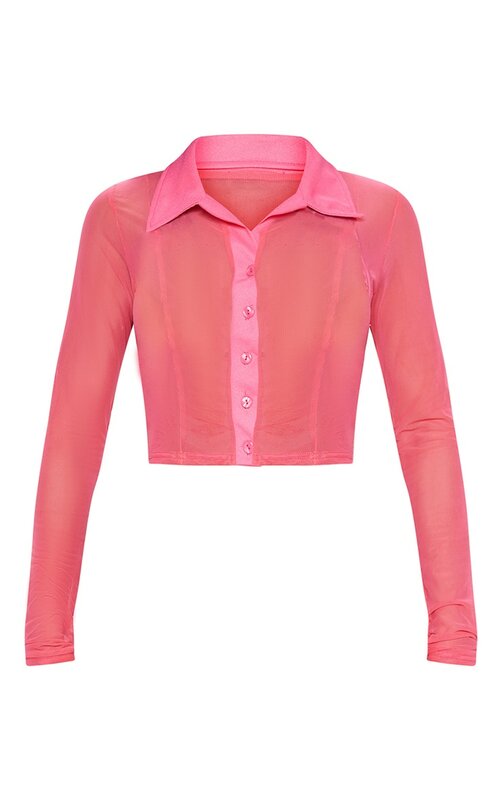 Featuring a pink sheer mesh material, long sleeves and a cropped length, we are obsessed. This simple style can be dressed or down.